While moving house is not my fave, it is fun to shuffle up your things a bit. 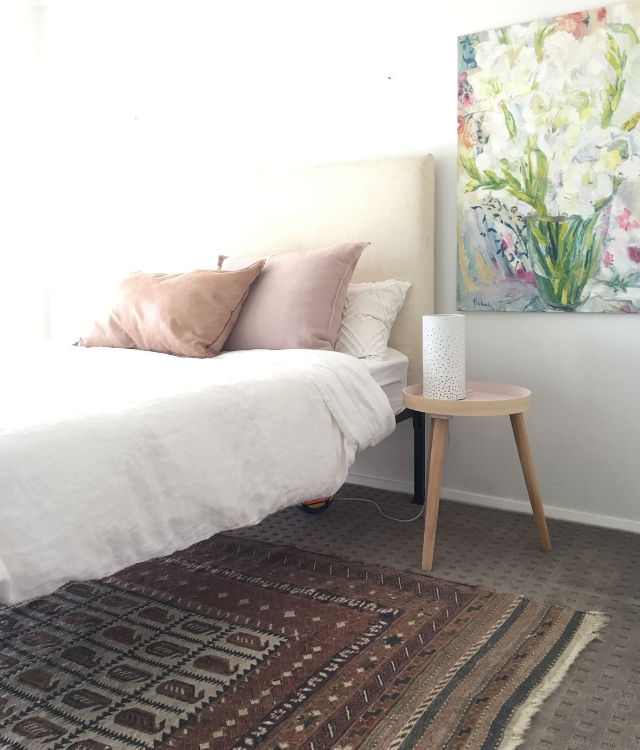 This bed and bedside table was previously Miss J's, the painting has usually been the living room, the rug was in the study, the cushions were on the outdoor couches, & the lamp is at least 10 years old. I am kind of loving how it all looks together, especially the blush and rusty colour combo. I am also loving that I didn't have to buy one thing to make this new look happen.